Goodreads Synopsis: When the state controls your emotions, how hard will you fight to feel free? Much like the device itself, The Dark Intercept might get under your skin. I...did not like this book. I gave it two stars because it had a lot of promise. But other than that I had to force myself to read it. It took me almost two weeks to finish this book and it never takes me that long to read something. Violet is a boring character, first of all. I almost feel like she's got some social anxiety disorder because she is very, very awkward. Especially around Danny, the boy she's "in love with". Violet's dad is the ruler of New Earth and she works in Protocol Hall helping monitor Old Earth. Their weapon of choice is people's memories, courtesy of the Intercept. The Intercept was created by boy genius Kendall Mayhew only he killed himself and that story just turns into one big trash pile toward the end of everything. Here's my main problem: it took until I was about 60% through this book that something actually happened. For the first part it was Violet following Danny. Or pining after Danny. Or sitting at her father's feet. It was boring. I loved the idea of New Earth but it wasn't expanded. The Intercept sounds like a great threat, but I didn't get it. Maybe it's just me? The end of this book happened SO FAST that I feel like the build up (the first 60%) could have been done a little better. Too little action at the beginning and too much at the end. There was no balance and not really enough depth of the characters for me to enjoy them. 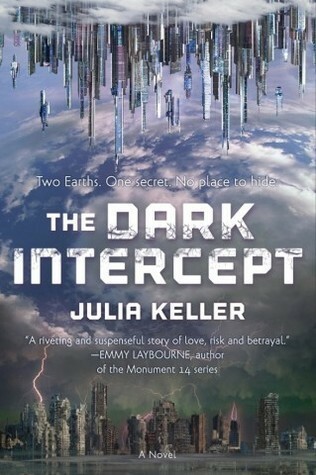 Thanks to Tor Teens and NetGalley for the ARC.